Forget the To Do List, create a Results List! It’s easy to have a massive “to do list” but if we don’t have a system in place, our to do list ends up being very small tasks which my mean lots of cups of tea but not much progress or satisfaction at the end of the day. They just create a sense of being busy and kidding ourselves that we are in motion forward.. Instead, start with a Results List. Ask yourself what result do I want to create today and add some Big thinking. Start with your goal for this coming quarter of 2019. Maybe you would love ten new clients this quarter and say £10,000 income so that’s the result you’re aiming for. Instead of thinking how do I do that, ask what are some of the ways and things I can do to make that happen? What is the easiest way for me to generate enrolling conversations, getting to meet the maybe thirty I might meet before I have my ten new clients. It can take some time so look ahead. Maybe you’ll be reaching out to book talks in a few months time or booking networking events and a conference somewhere new later in the year. Do things today which will pay off in the future. Make your Marketing really work for you. Repurpose again and again! You could even turn the transcript into articles, format them attractively and send them in the mail to ten people with a handwritten note, “I was thinking of you and your business and how this article might help.” You’re creating momentum, focusing on where you want to be and this will take you forward. Start to write your money goal down every day and celebrate everything that comes in to support that! This focuses your energy on where you want to be and the Universe then knows what you want and can partner up with you to create those results! 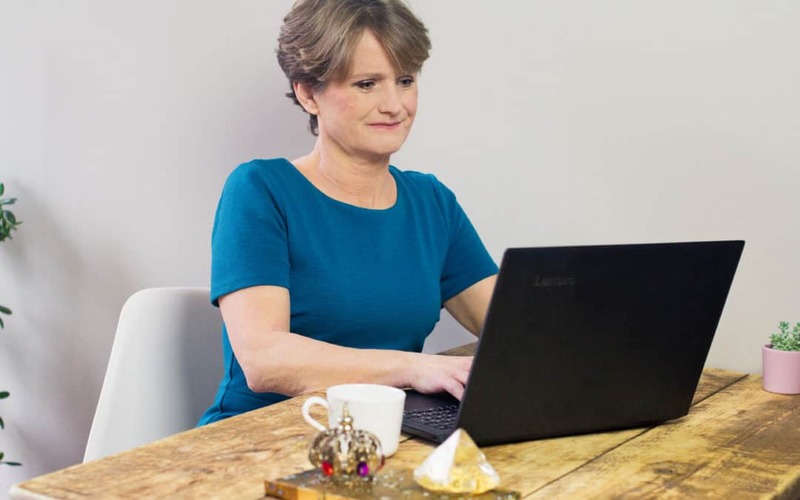 Rosemary is a Money, Marketing and Soul Coach, helping women entrepreneurs to go from frustrated and under-earning to attracting rich opportunities, ideal clients and much more income! If you would like to explore your relationship with money book your complimentary Money Discovery call with Rosemary here now!